Few passages of Scripture are more consistently skimmed or avoided than genealogies. We get lost in hard-to-pronounce names and find the contents quite boring. We do assume that they were accurately recorded and are without error. Upon closer inspection however, the genealogies sometimes reveal an alarming amount of variation. 1 Chronicles chapter 1 compiles a variety of genealogies from different parts of Genesis. In the first 37 verses, we find 135 names. Twenty of them are spelled differently. Some people are omitted (like the sons of Dedan vs. 32-33 - Gen. 25:2-4), and others are redefined. Aram’s sons become Shem’s sons (vs. 17 - Gen. 25:22-23), and a concubine turns into a son (Timna, vs. 36 - Gen. 36:10-12). The most important difference is revealed by cross-referencing Luke 3:36 and noticing its inclusion of an additional name (Cainan) not recorded in Genesis or 1 Chronicles (although it is found in the Greek OT translation, v. 24 - Gen. 11:11-13). Other genealogies show similar differences. Ezra 7:1-5 compared to 1 Chron. 6:1-15 reveals a gap of 5 or 6 generations. Even Jesus’ two genealogies differ significantly. Matt. 1 traces the line of David’s son Solomon, whereas Luke 3 uses David’s son Nathan. Luke’s list contains an additional 14 generations between David and Jesus. Other lists of names contain similar problems to the genealogies. Given the stress we hear about word-perfect preservation, wouldn’t it be natural to expect that two lists of David’s mighty men would be identical? Instead, when one compares the lists in 2 Sam. 23 and 1 Chron. 11, several strange variations are found. The chief of the captains, the number one guy isn’t given a consistent name, and he doesn’t kill the same number of people with his spear. Is he “the Tachmonite” named as “Adino the Eznite” (he is said to have killed 800 at one time) or “Jashobeam, an Hachmonite” (who killed 300)? Shammah defends a field of lentils in Samuel, and another guy Eleazar defends a field of barley in Chronicles (Shammah doesn’t appear in that list). Seven guys in Samuel don’t have a counterpart in Chronicles. Six guys in Chronicles don’t have an equal in Samuel. And the men who are on both lists rarely have the same name and title (or lineage). To top it off, after Uriah the Hittite’s important spot at the bottom of Samuel’s list, the Chronicles list goes on to add another 16 heroes. An even more perplexing list comes from Ezra 2 and Nehemiah 7. A count is given of all the people from various families who returned to Jerusalem. What’s striking here is how different the numbers are. The list above moved us into the realm of numerical difficulties. Anyone familiar with the accounts of the Israelite kings may have an inkling of what’s ahead. My first encounter with numerical differences came in high school. I noticed the differing census figures given for David’s numbering of the people in 2 Sam. 24 and 1 Chron. 21. One account gives 800,000 soldiers for Israel and 500,000 for Judah, whereas the other account gives 1,100,000 for Israel and 470,000 for Judah. I studied the passage more closely and found further discrepancies. David is given a choice of 7 years of famine in Samuel, but 3 in Chronicles. He pays 50 shekels for the threshing floor of Araunah in one account and 600 shekels to Ornan in the other. And to top it all off, God moves David to number the people in one text, while Satan provokes David to sin in the other. My teacher (who was a fan of Peter Ruckman), didn’t have a good answer. He later came up with a confusing explanation involving quite a bit of biblical numerology if I remember right. The following table shows some additional numerical discrepancies. Some of this discussion is adapted from a paper entitled “Large Numbers in the Old Testament” (Tyndale Bulletin, 1967) by J.W. Wenham. Everyone is somewhat familiar with the synoptic problem. The words of Jesus and the sequence of His travels are presented differently in each of the four Gospels. Sometimes different sayings can be harmonized (a supposed original statement can account for each of the different quotations given by the Gospel authors). Other times such a solution doesn’t seem to work. Even when we come up with a plausible explanation for differing words in a quotation, we have no way of knowing the true chronology. For example, in which order did Jesus’ three temptations come? Matthew’s or Luke’s? This problem is not unique to the New Testament Gospels, however. There are actually two sets of “the 10 commandments” (see Ex. 20 and Deut. 5) with considerable differences. Perhaps the most extensive OT parallel passage is the account of the Assyrian siege of Jerusalem as found in 2 Kings 18-20 and Isaiah 36-38. These two passages contain 12 speeches, mostly of Rabshekah, Hezekiah and Isaiah. The speeches cover just 51 verses (by Isaiah’s record), yet we find considerable discrepancies. Remember, the following differences are from recorded speeches, not the author’s description of the narrative. The speeches are almost identical most of the time, but there is considerable variation. The Isaiah account omits 85 words, adds 20 words, rearranges the order 8 times, and replaces a word with a similar word 55 times. This does not count the ending of the final speech (Isaiah 38:7-8), which is a complete recasting of 2 Kings 20:8-11 (the narrative is condensed and given as a quotation). The following chart is but the tip of the iceberg. Examining the passages listed will reveal numerous slight differences between the KJB OT and NT. Many times the differences stem from the NT agreeing more closely with the Greek OT translation. I recommend looking at R. Grant Jones’ extensive and accessible study of all the NT quotations of the OT (insert link: http://mysite.verizon.net/rgjones3/Septuagint/spexecsum.htm). He demonstrates conclusively that the Greek OT translation is predominantly followed by the NT authors. We have only begun to uncover the minor differences in numbers, names and parallel accounts in the Bible. Enough variations have been exposed however, to force us all to grapple with this problem. Just how are we to explain such differences? The KJO adherents have to defend each and every difference as best they can. The opposing point of view however, can allow for some copyist errors in the manuscripts. 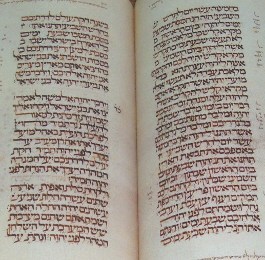 They are also at liberty to look for solutions in other ancient manuscripts or versions (Greek, Latin, etc.). Ultimately, our faith in the clear statements of God’s Word will keep us from becoming skeptics. The Bible clearly affirms its own inspiration, perfection and inerrancy. Faith leads us to believe the original copies of Scripture were perfect. We may not know the answer, but an answer does exist. We can learn something else from this study, too. The Bible itself does not measure up to the word perfect standards of King James-onlyism. If absolute certainty of the specific wording of a text is required to have an authoritative Bible, the King James Bible itself doesn’t measure up. Matthew Poole’s commentary from 1685 contains a similar observation: “This custom of the New Testament… to quote texts out of the Old Testament, very often according to that Septuagint (Greek) translation… may learn us not to be too curious as to minute things in Scripture, for had it been a thing of moment, the Holy Spirit of God had certainly never suffered [it]” (e-sword module version of Annotations on the Holy Bible by Matthew Poole). May we all learn not to “be too curious as to minute things in Scripture.” God has seen fit to inspire “things that are different.” In His wisdom, these differences may prove to increase our faith. I trust they will teach us to be more charitable of Christians who make use of varying Bible versions. Bob has a BA in Pastoral Theology with a Greek emphasis and a MA in Bible from Fairhaven Baptist College and Seminary in Chesterton, IN. He currently works in technical sales support for Boston Scientific, and actively serves at Beacon of Hope Church, St. Paul. Since 2005, he has been blogging theology at www.fundamentallyreformed.com. He founded KJVOnlyDebate.com and can be found as well at Re-Fundamentals.org and CrossFocusedReviews.com. Interesting perspective to take. I actually quite like it. Thanks for the post. I find your data very interesting. They are much the same data that exists on the websites devoted to disproving the inerrancy of the Scriptures. Since I am firmly in the camp of inspiration and inerrancy, that track is of no consequence in this discussion. On another level, though, I fail to see how this is a big deal for the KJO inspirationalists. Since the whole debate for them is fundamentally non-evidentiary, there is no reason for them to feel compelled to answer anything that someone else might find incongruous in the KJV. It is inspired and inerrant, even in its self-inconsistencies. Now, this brings up the very real aspect of the KJO position that begins to look like existentialism. By them, we do not need these questions asked or answered. "God said it; I believe it; that settles it." As long as the KJV is the standard, then there is no reason to question these things. As one who belives that the KJO position is the same as the old Romanist position on the Vulgate, and therefore indefensible biblically, I think your data, and other arguments, merely reinforce my position. However, I doubt that it will carry much weight with those who hold the KJO position. That may be the case for many, but I trust not for all. I speak as a former KJV Onlyist myself (of the TR Only variety). I think they will default to something like you describe initially, but if they consider the evidence here perhaps they will reevaluate their position. I also think the mentality of stressing over minor differences like this is very similar to the skeptics approach to Scripture. We can follow Matthew Poole's advice and trust that something else is going on with the small differences between parallel accounts. Our faith can lead us to uphold inerrancy and authority even while admitting the differences do exist and sometimes are puzzling. Incidentally, the paper I reference by Wenham has some intriguing solutions to some of the big number problems in the OT. A big part of our problem is not understanding exactly how all the words used for numbers really worked in ancient Hebrew. @Bob Fuller & Bob re "the minutiae"
I don't think "the minutiae" is a KJV issue alone. To Bob: I appreciated the article and thank you for submitting it! I agree, Jim, "unresolved differences". Glad you appreciated the article. I think many who read the piece will find it disturbing. But sometimes that's a good thing. It doesn't speak well of us if only authors/websites devoted to rejecting Scripture pay attention to "the minutiae." What's there is there and we need to wrestle with it within the confines of our prior commitments, which include inspiration and inerrancy. So I think the idea here that a non-word perfect understanding of preservation better allows us to resolve these problems while upholding inerrancy has merit. Bob Fuller has a point a couple of posts up and I think we'll hear from RPittman along those lines probably. But ultimately, a view that says the Book speaks meaningfully to us here in reality as we know it, cannot simultaneously hold that what the Book actually says that appears to be contradictory is of no consequence. Can't have it both ways. Either what is says matters or what it says doesn't matter. It does matter. Therefore it all matters. I work with a ministry that comes alongside local churches and helps them develop ministries for teens and children. As such I work with a large variety of churches. I have a few in my area that I work with that are KJO. Some out of preference (which makes perfect sense to me... we all have preferences) and some hold to the more traditional view that is being referenced here. Being fairly new in the ministry, I have been working through how to work with KJO churches. Should I avoid them? Should I do my best not to offend them and continue ministering to them? Should I try to help them move beyond the KJO issue? I don't want to sacrifice any ministry that I might have in those churches because I'm unwilling to give up my freedoms (Paul is a great example of this), but I also don't want to turn a blind eye to something that I believe is not biblical. As a former KJO guy, what are your thoughts on this? I'd also love to hear from some others about this. I would add, that what the Book says and how it presents some of these seemingly contradictory matters, should shape our expectations related to preservation. I think you have the right spirit in this. You can partner with people who differ with you for a greater cause. That being said, some KJO churches will make it an issue, as some are more ardently KJO than others. As for trying to woo them out of KJV onlyism, that's getting into some tricky waters. I would think through your position and relation to the churches. If they're having you come in for a week, you probably best leave that alone. If you have opportunity to talk theology and what have you with the pastor, go for it. But respect the autonomy of the local church. There's no one-size-fits-all approach that is going to work for you. Dealing with people in KJV Onlyism takes time and patience, and they have to trust that you're not out to attack them. Over the years, I've found that web-based media present the best way to reach people on this issue. People can study and research privately in their homes without fear of breaking the party line or crossing the pastor the wrong way (if they're in an overly authoritarian church), or without fear of what their friends or family might think. This is why I've maintained my blog so long, and started a http://kjvonlydebate.com ]group KJV Only blog . I rarely see those questioning or working through the issue interacting in the comments. But they are reading and lurking. I find out about them from emails or private messages and know I'm having some small impact. Directing people to a place to search out the issue can be helpful. Or recommending a small book or booklet on the issue may help too. Hopefully some of this makes sense and is helpful. Thanks for your questions and sharing your thoughts about the post. Thanks for the response. I've come across your blog before but didn't make the connection. It's a great resource. Also thanks for your comments and perspective. Brandon, just curious. Would your ministry participate in helping Mormon or Catholic churches establish youth ministries? The thread discussing KJVOism as heresy juxtaposes with your question. My organization has a clear doctrinal statement that we ask each pastor we work with to read. It would not make much sense for people with differing views on gospel doctrines or ministry philosophy to work together. I'm curious about your reference to a thread about KJOism as heresy. I have not seen it. Could you point me there? Hmm, hmm, hmm; I can't hear you! In reading this article and the one referenced at tyndalehouse.com I have the strong urge to put my fingers in my ears and hum loudly. I wish that such textual problems did not exist but they do point out the need for conservative scholarship and lower textual criticism to find out what really was written in the first place. Thankfully, these numbers do not affect the doctrine of the O.T. When I think of Israel in Palestine I think of the wide-open spaces that we have in the U.S. However, this is not so - the whole area of Palestine (roughly 270 miles x 100 miles) could fit inside of many of the smaller states in the U.S. While the Masorites did a great service by preserving the O.T. Scriptures, by eliminating any variants they made the work of the (lower) textual critic so much more difficult than that of the N.T. critic who has thousands of slightly different manuscripts with which to work. Just to be clear, I don't necessarily endorse Wenham's paper in all points. Nor was his paper the impetus for my writing on this theme. I'm interested to see what the last 40 years of evangelical scholarship has made of his initial thoughts on the subject of Hebrew numbers. So for me, the jury is still out on some of his thoughts and conclusions, but from what I've seen I think they are helpful and could be an answer for some of our difficulties. But you're right, MS, we can't wish these problems away (although we're tempted to). But for a position that isn't beholden to a word-perfect copy of Scripture in my hand today, the problem isn't as large as it is for the consistent KJV Onlyist. By faith I believe answers are to be had for these problems, and some of those answers could be copyist errors and the failure of an intimate knowledge of the precise Hebrew numerical system to be preserved intact to our day. Have you ever noticed that when you mention King James, many people think of a basketball player instead of Bible translation. Also, I think Bob Hayton should be sentenced to mandatory attendance to the next King James Baptist Conference for publishing such thoughts. Bob, recommend you go into conference w/target painted on forehead... for convenience. Chip, that's a very troubling question. Titus 3:10 comes to mind in response, in it's fuller meaning, involving both false teaching and division. 1). The Gospel is not directly compromised by the KJVO heresy. 2). If we adopt premise 1, then I would suggest that, in accord with Titus 3:10, anything is an eduation issue until you run up against hardened hearts. No thanks! No target, or KJVO conference attendance on my part! Good thoughts, Mike. I agree. I'm well acquainted with the various forms of the KJO belief thanks to the various churches I've been to or been in fellowship with. I have come across many people who believe that the KJV is required for salvation. In other words, if I read the NIV or the NASB or even the NKJV and got convicted of my sin and made a profession of faith. it wasn't a real conversion. It needed to occur from a KJB. So, in saying that I think it can in various forms compromise the gospel. I have come across many people who believe that the KJV is required for salvation. The kind of KJVO that does not make that claim, does not teach a disorted view of inspiration and does not preach that all non-KJVOs are unChristian (etc) is not worthy of the name "heresy" at all. Just want to again, urge folks not to lump and dump in this area. I have come across many people who believe that the KJV is required for salvation. In other words, if I read the NIV or the NASB or even the NKJV and got convicted of my sin and made a profession of faith. it wasn't a real conversion. It needed to occur from a KJB. So, in saying that I think it can in various forms compromise the gospel. I guess this just proves we can't base too much on our experiences, because in 40 years of being in mostly KJVO/P churches, I've never, ever met anyone who believe that the KJV was required for salvation. I agree that we can't lump everyone into the same basket. I was so used to debating Ruckmanites that when I came across others who called themselves KJO I got confused when I found out they were more TR only than KJO. There are shades in this belief and unfortunately one side goes right into heresy. I was debating someone about this on a forum once who told me that I wasn't saved because I got saved using a NKJV. Besides this person I knew others in person who hold or did hold onto this position. It's quite sad really. EDIT: Looking back at my comment I think it's misleading to say "many" I think "a few" would be more accurate in terms of whom I know personally. Personally I know about a half dozen and one of those (the one whom I debated) goes to a church that holds to that belief. So depending on the size of the church that would add 2 dozen or so to that number or even more. There are books advocating the "incorruptible seed" idea in relation to the KJV. 1 Pet. 1:23 says the Word saves because of it's incorruptibility as the incorruptible seed. It is claimed other versions are corruptible seed and hence cannot save. In one of his books, no less than Jack Hyles actually came out saying one has to have read or heard the KJV in order to be saved. I believe KJVO author William Grady's position is similar on this point as well. I agree that we can't lump everyone into the same basket. I was so used to debating Ruckmanites that when I came across others who called themselves KJO I got confused when I found out they were more TR only than KJO. There are shades in this belief and unfortunately one side goes right into heresy. But there's a test for their sincerity, and nearly everyone of them fails it. When they say they are TR only, and thus KJV only, I reply "Then if a quality TR based translation came along, you'd support it?" And, in all except one case, they start the hemming and hawing. "Oh, but the language of the KJV is ideally suited..."
"Oh, but why would we abandon what God has blessed for so many years...?" To which my answer is "Excuse me, sir. Your traditionalism is showing." For me, the KJV is rapidly ceasing to be an English Translation as English evolves. It is what the linguists call "Early Modern English", but to every non-scholar, the term is "Old English" -- meaning "We barely can understand it." For those of us who grew up with it, it is comprehensible (though not a few KJVO's demonstrate from their sermons that they actually don't correctly understand it). But for the vast majority of the U.S. population, it is inaccessible in the details. So, the challenge for a sincere TR Only guy should be "Let's gather our resources and make a great TR based English translation! The word of God for the common man, once again!" If they can't say that, I don't believe them when they say it's about the TR. I know that the "H" word is really hard to speak with regard to brothers. Actually, the root for "heresy" reallys indicates that which separates brothers. So, maybe it's not so far off the mark. But to my real point. I come very close to thinking "heresy" when I see a doctrinal statement include a statement that the King James Version is God's inspired Word for the English speaking world. This is placing this errant teaching in the same statements as those that are derived from the teaching of the Word of God. When we see other groups bring their traditions, or biblically unsubstantiated teachings in their doctrinal statement, we usually think of false teaching. I have brothers in Christ that I care about a great deal that fall in this group. However, on more than one occasion, this "teaching" has been the basis for their organizational, and something personal separation from other brothers. What should this be called - besides very unfortunate? Bob, I've run across this before quite a bit. We are in a weird part of Michigan. To the north of us, you begin to hit the more radical churches -- KJVO, Michigan Militia, etc. Many of them take the "incorruptible seed" view. It's an odd view, isn't it, as the language doesn't necessarily equate the "incorruptible seed" with the "Word of God". Depending on how you interpret, the Word of God may be the source of the incorruptible seed. I can see it either way. The idea is surely "perishable" vs. "imperishable", based on surrounding verses (leaving Greek out, since we're talking about KJVO's here). But the contrast is human flesh's perishability vs. the Word of God's imperishability. So it may be saying that we become children of God (imperishable) rather than mere children of man (perishable) because of the imperishable Word of God. The Jack Hyles thing still makes me sad. I was at HAC in 1980, and Jack Hyles was preaching that the KJVO position was heresy, as it implied a progressive revelation after the conclusion of the Scriptures. A few years later, he was KJVO. And nobody in his church noticed, it seemed. Or none dared bring it up. This is the most reasonable post I think I've read on this issue in a long time. Thanks Bro. Durning.